At Kelly Window and Door, we are excited to announce that we have won the Angie’s List Super Service Award for the tenth year in a row! 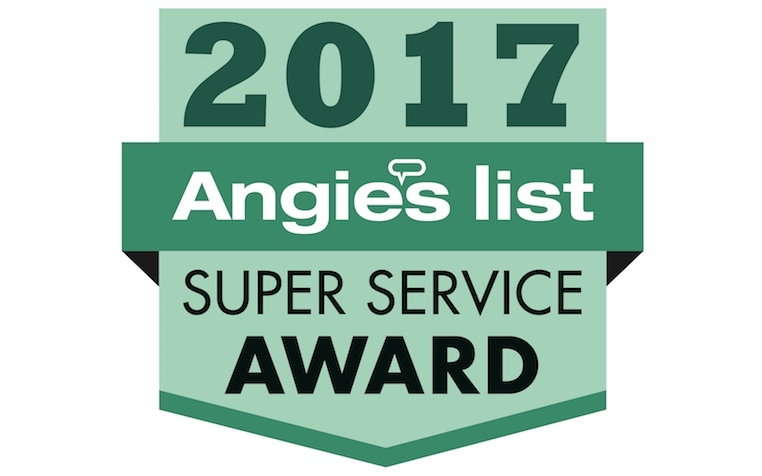 The Super Service award is meant to highlight Angie’s List providers who exceed their clients’ expectations year after year. Kelly Window and Door is the only Raleigh area window company that has won this award for ten years in a row. Our Purpose: It’s simple – Serving People Well. This is a commitment that runs deep in our DNA. We talk about it every day. We teach each other how to better Serve People Well. We live it out in our office and in our clients’ homes every day. It’s only three simple words, but these words carry a lot of weight and keep us focused on what we’re really here for. Honesty: We are committed to being truthful with our clients, vendors, and community. This means that we do not deceive in order to make a sale. We do not lie to cover up our mistakes. We go home every day knowing that we have treated our clients the way we want to be treated. Craftsmanship: We hire the best installers in the industry and then we train them to be even better. Our training never stops – we are always honing our skills and learning new techniques as the industry evolves. Our installers are well-equipped to make sure your new windows and doors provide the best quality, craftsmanship, fit, finish, and function possible. Our Vendor Partners: We are very particular about who we choose as a vendor partner for our windows and doors. There are literally thousands of manufacturers we could choose. We’ve cut through the clutter for our clients. We take the confusion out of your shopping process and we can assure you that you will get the best product from Kelly Window and Door. Friendliness: We survey all of our clients and one of the most encouraging things that these surveys reveal is the friendliness of our staff. Our sales consultants, installers, and office staff are routinely complimented for being friendly, easy to talk to, and eager to answer questions and provide assistance. As business owners that makes us really proud. References: Every window and door company will tell you they are the best. That’s why we don’t expect you to take our word for it. We have satisfied thousands of clients over our 24 years in business and provide the references to prove it. Kelly Window and Door has been in business since 1994 and has been an Angie’s List Super Service winner since 2008. Other accolades include Best of Houzz, People Love us on Yelp, and BBB Accredited Business with an A+ rating. We offer complimentary consultations to homeowners in the Raleigh/Durham area who are thinking about having their windows or doors professionally replaced. To schedule your own consultation, call 919-461-0010.